This panorama comes from one of my favorite places in the Texas Hill Country. 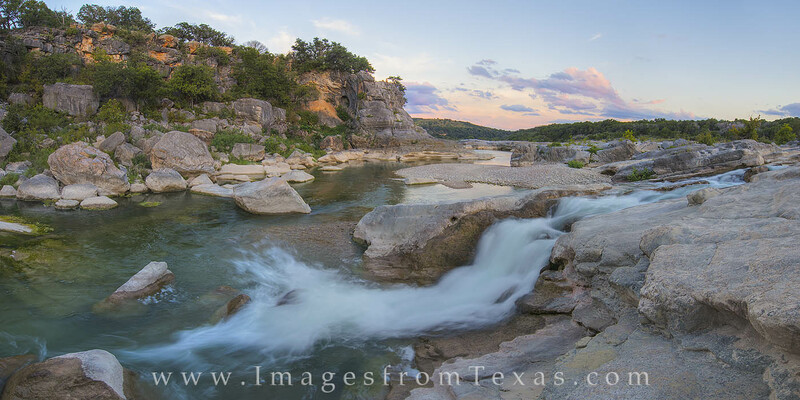 Here, a clear and gentle Pedernales River cascades over limestone and granite as it winds its way through a September evening. This image is available in larger and custom sizes. Please contact me for more information.